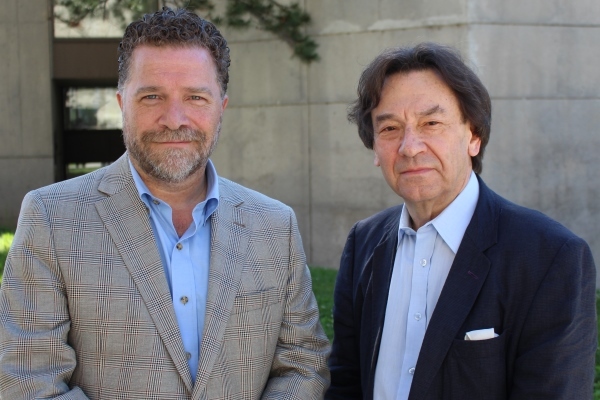 Craig Walker (left) will serve as the interim director of the Queen's School of Drama and Music while Ireneus Zuk will become the interim associate director. The two departments have collaborated in the past. Before the merger, the units worked together to offer a musical theatre course. Furthermore, faculty members collaborated on a number of independent study courses and on some research projects. The merger will allow for an expansion of that work and support excellence in the study of musical theatre. One major initiative made possible by the merger is a new Bachelor of Musical Theatre program Queen’s is developing with St. Lawrence College. The school is also looking at creating a graduate diploma in arts leadership in collaboration with staff at the Isabel Bader Centre for the Performing Arts. In fact, the opening of the Isabel further spurred on the merger, which had been discussed for several years. All degree plans in Drama and Music will continue to be offered in the new school. Dr. Walker notes that he expects they will be enhanced by the merger as students will now have more opportunities to branch out and take different courses. Ireneus Zuk will serve as interim associate director of the new school during the transition period. Dr. Zuk is a professor and renowned pianist.